Join Team Embrace in the 2020 London Marathon and support young victims of crime with every step. The route begins on Blackheath, south east of London. Runners make their way through Greenwich before passing over the Thames as they cross Tower Bridge. The route continues through central London, where thousands upon thousands of avid spectators stand cheering on the runners. Heading towards home runners pass Buckingham Palace, before hitting the last stretch on The Mall and then over the finish line. 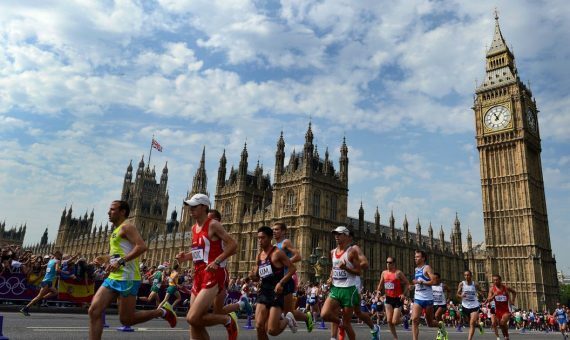 Limited Charity places will be available for the 2020 London Marathon. Places are available on a first come first serve basis, on the understanding that each runner will raise a minimum of £1000 in return for the place, plus a £25 registration fee. For everyone who secures a place on our team, you will receive a branded team jersey and have dedicated fundraising officer on hand to answer any queries, ensuring a stress free race day.